Most homeowners seek as much storage as possible when renovating their homes. 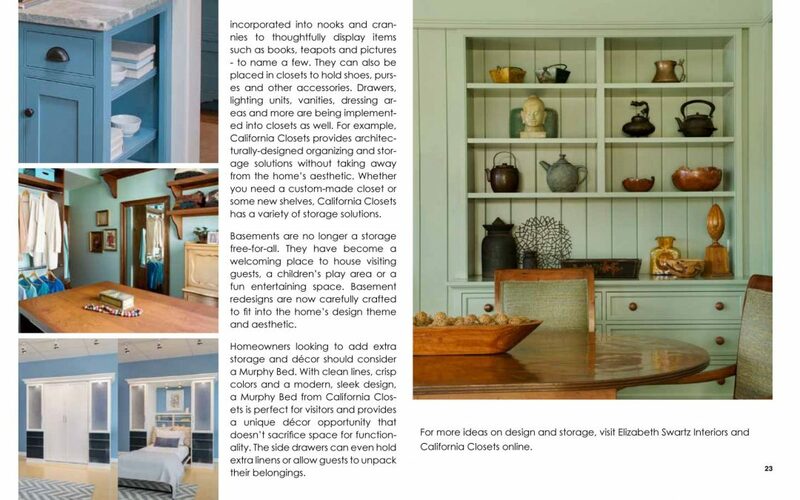 In this article by International Furnishings and Design, Elizabeth Swartz, ASID, discusses unique and creative ways to add storage and style to your home. Instead of typical plastic bins, storage comes out of the closet (so to speak) with decorative shelves, cabinets, benches and drawers. Consider using the space underneath a staircase or an out of the way corner in a new way. 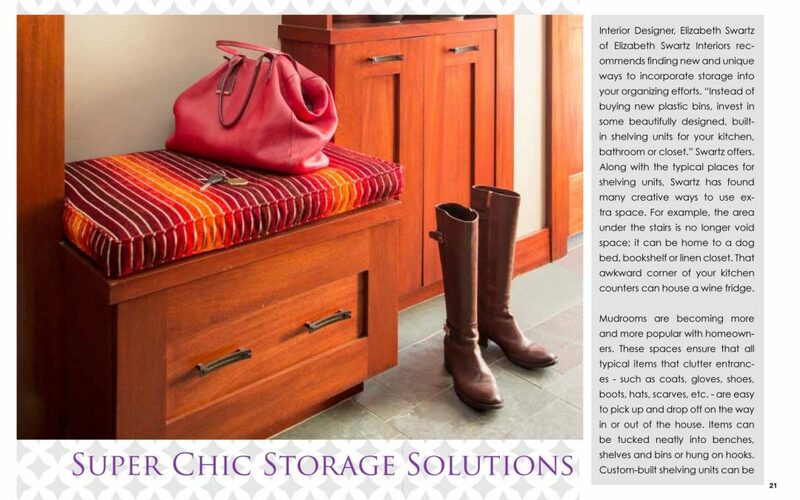 For more ideas on design and storage, visit Elizabeth Swartz Interiors’ blog Storage 101: Organizing Space with Function and Style.